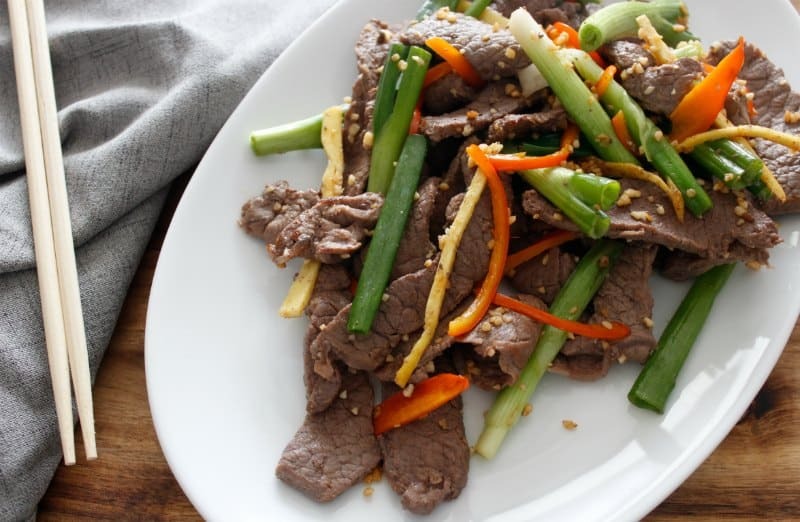 This is the BEST Keto Mongolian Beef Stir Fry Recipe I’ve ever made! I can’t believe how simple this was to whip up for the family too! You can easily double or even triple this recipe as needed too. My daughter was telling me how much she misses going out to eat this type of food. She misses sushi the most. When I go to these types of restaurants, it’s so clear how much sugar they have in their marinades and sauces. That has never stuck out to me more than when I started my own Keto journey. This recipe was created with created with my daughter in mind. 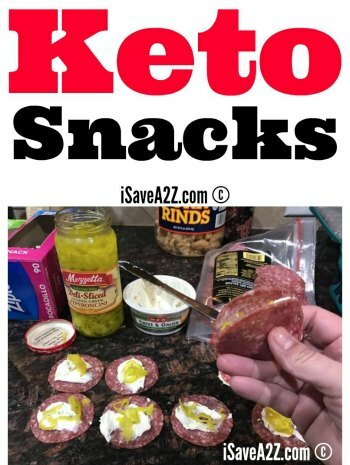 I wanted to show her that we can take our favorite foods and make them Keto friendly. She is an extremely picky eater. The hard part is knowing whether or not she will like it or not. 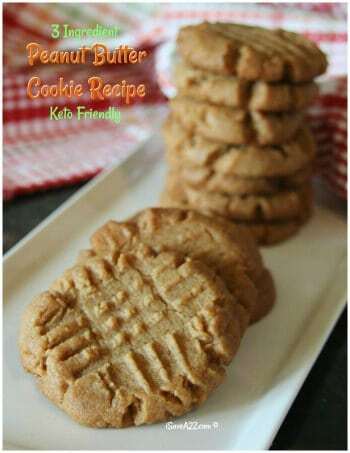 I’m happy to report this recipe is a winner in her eyes! She also enjoys the Keto Sushi Rolls with Smoked Salmon I made the other day too! 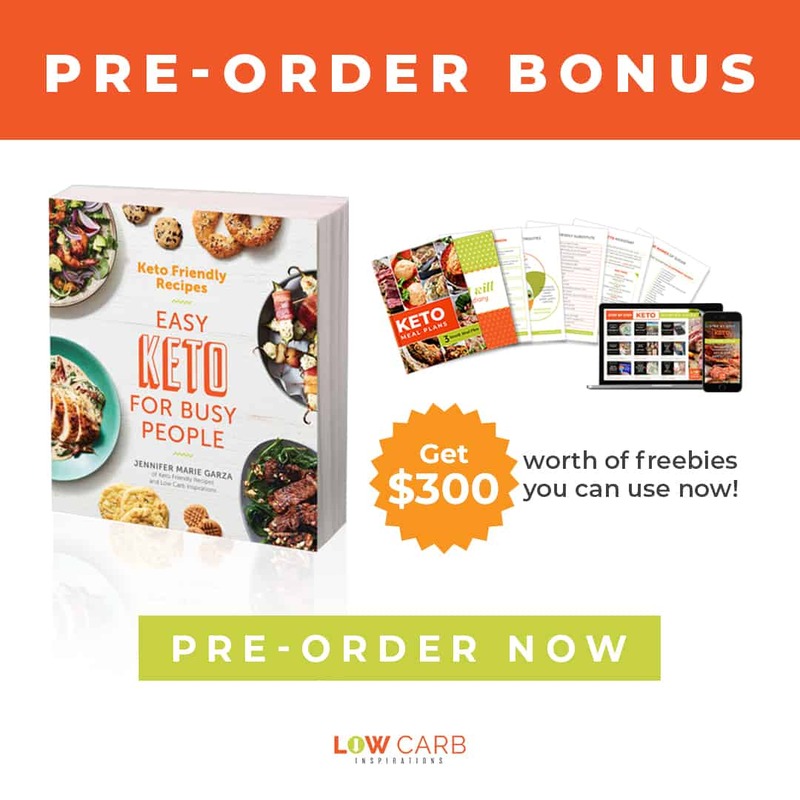 If you are new to the Ketogenic diet or want to know where to start. I highly suggest reading this article called Simple Way to Start the Ketogenic Diet. 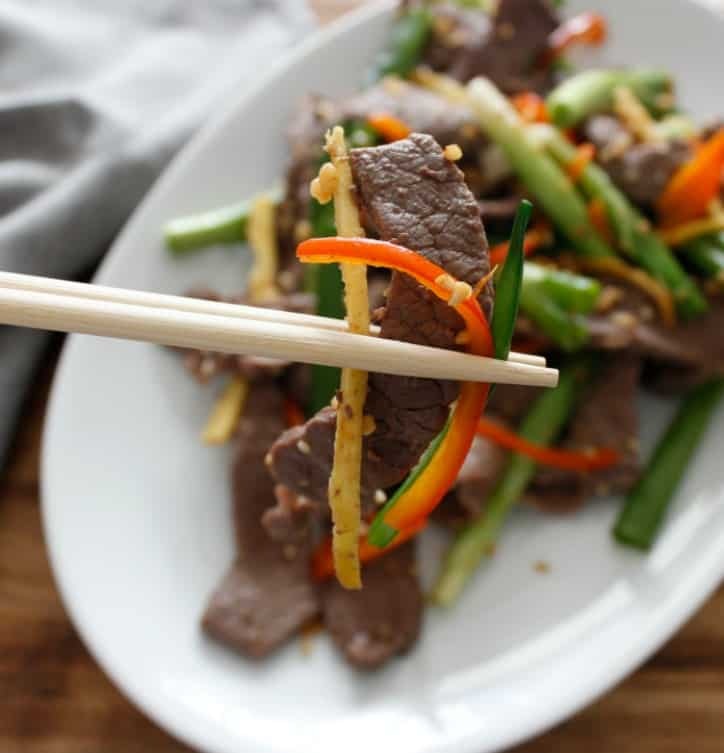 Whisk coconut aminos, fish sauce and sesame oil, drizzle to coat beef tips and marinate for 15-30 minutes. In a large skillet, drizzle with oil and cook beef tips until no longer pink, 3-5 minutes. 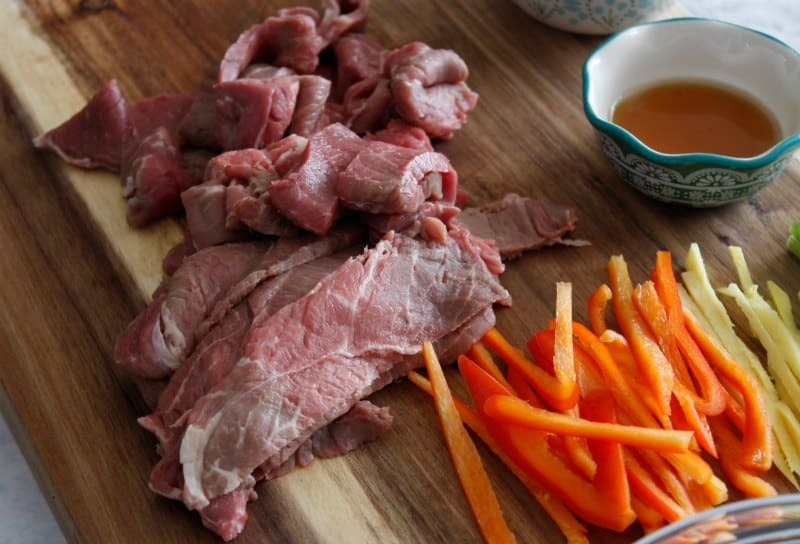 Remove beef from pan, set aside. 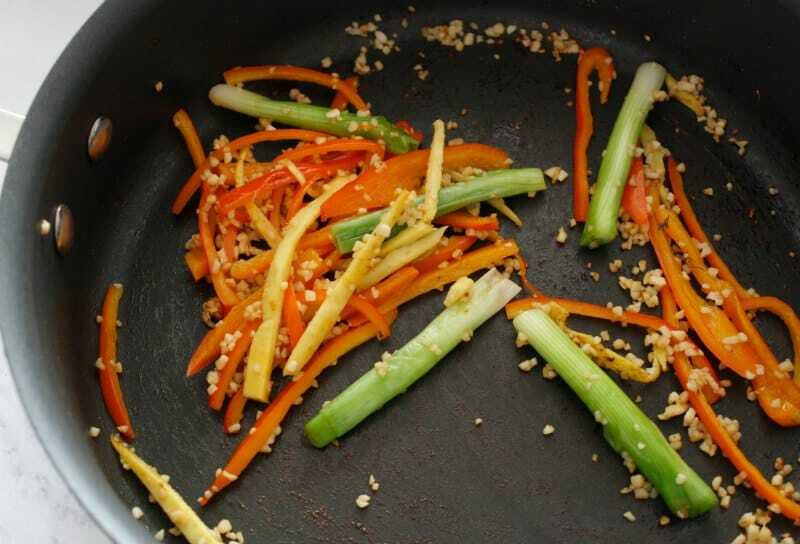 In the same skillet, cook ginger, chili peppers, garlic and white scallion pieces. 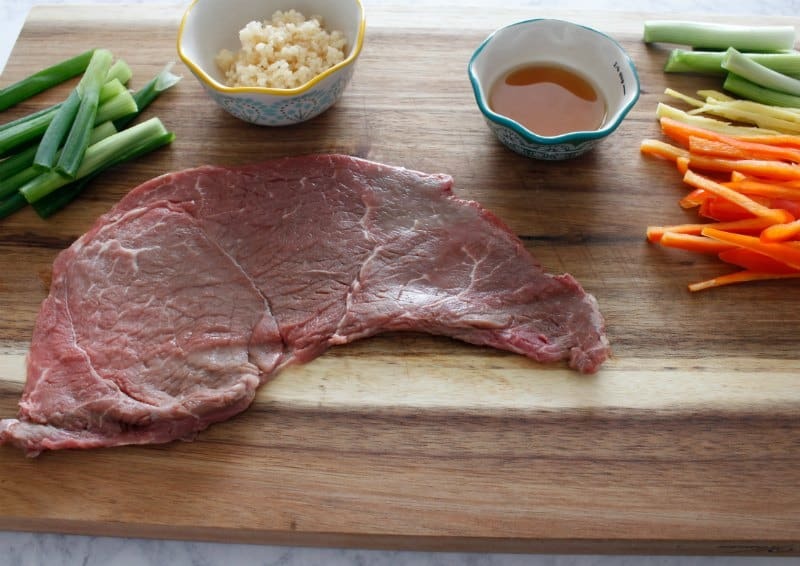 Add beef and green scallion pieces to skillet and toss all ingredients together. 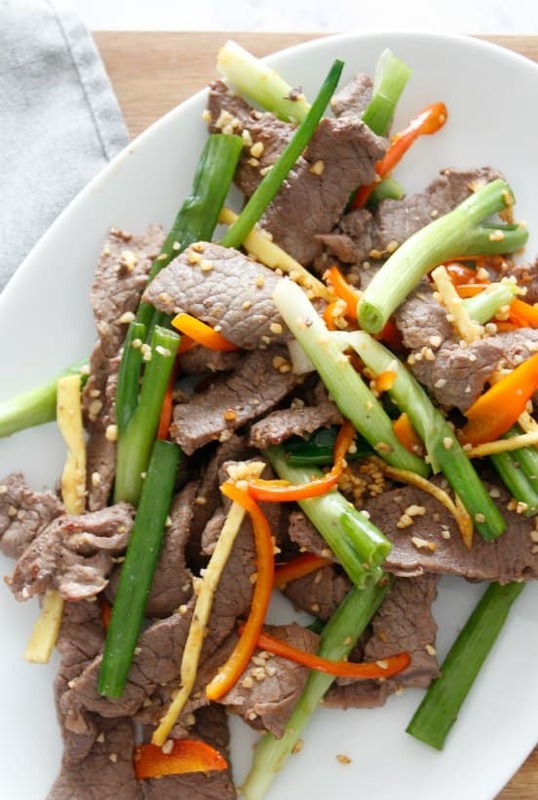 Don’t forget to pin this Keto Mongolian Beef Stir Fry Recipe on Pinterest for later! 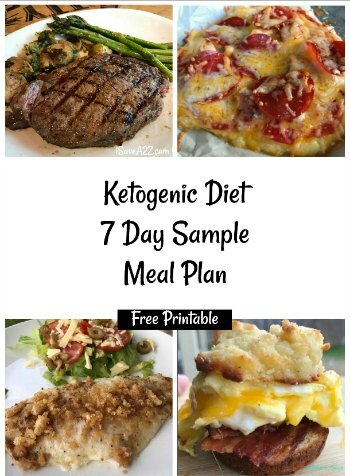 By Jennifer on February 10, 2018 Keto Dinner Recipes, Keto Friendly Recipes, Keto Lunch Recipes, Low Carb Recipes, Main Dishes, Recipes. I made this last night and I really liked it. I didn’t have any red chili peppers so I used hot chili oil and colored peppers, it worked out fine.